Troy Reynolds has been bowhunting for close to 16 years and spends much of his spare time in the bush. Join him and some mates as they hunt 10 Fallow Bucks, two Red Stags, one Rusa Stag, four Mountain Boars, Goats and Foxes. Also one Scrub Bull with the long bow! Featuring clear and in your face footage this fantastic DVD includes upwards of 20 action-packed hunts. 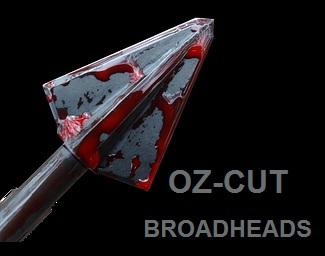 Filmed in the Victorian high country, through NSW and into Queensland Venatic features lots of helpful tips for the beginner and experienced hunters alike. Venatic 2 AVAILABLE NOW - check out the preview to the right. Troy shows great respect for the bush and the animals he hunts. He has always been a big believer in herd management so that the hunting future will be preserved for many years to come. Venatic 2 has now landed! 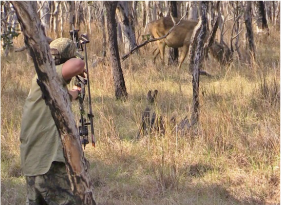 Action packed - this is one bowhunting DVD not to be missed!